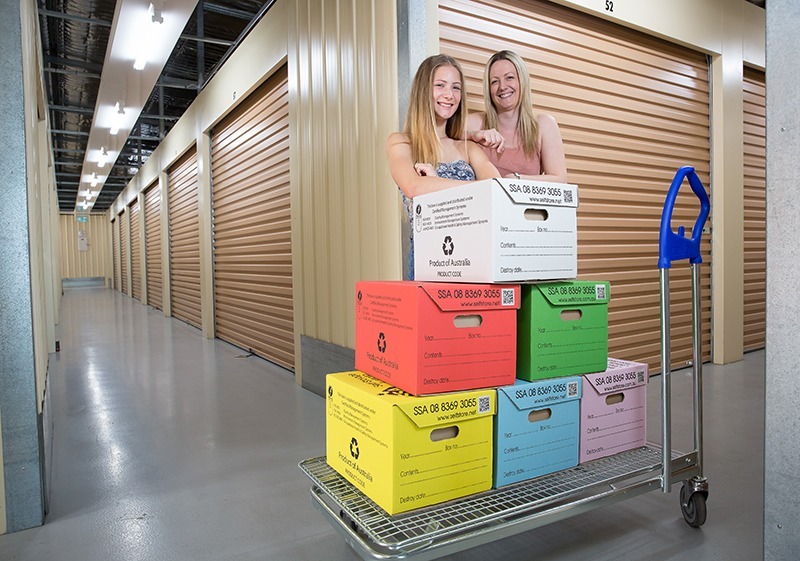 There are many reasons why you might want to store your clothing in an Adelaide Self Storage unit here in Holden Hill. Perhaps you’re rotating your wardrobes as the season changes, or you might be moving and need to store your belongings before the process is completed. Or perhaps you buy and sell clothes, or want to store items with sentimental value, such as your daughters’ cute baby clothes. It might be tempting to just stuff all your clothing in black bags and lock them in the nearest Adelaide Self Storage unit, but that’s not the way to go. Here are a few tips on getting it right. Before putting your clothing items into storage, make sure that they’re clean. Wash, rinse properly and dry all fabric items, or take them to a dry-cleaner. Remove all organic material, dust and stains off shoes. Dirt, stains and grime will settle into material over time, and be difficult to remove later. Food or oil stains can also entice rats and other bugs to feast on your clothing. Properly rinsing your clothing before you dry them will ensure that you remove any chemical residue from washing powder, softener or bleaches. It’s also a good idea to check all clothing items for damage before you store them. Are there any buttons missing, or rips and frays that can be fixed? Heels that need to be repaired? Go through your clothing, fixing what you can. If an item seems irreparable, that’s a good indication that you probably should let it go instead of storing it. Cleaning and repairing your clothing also means that they’ll be practically ready to wear once you remove them from storage. Vacuum seal your clothes in plastic. This is ideal for clothing that will only be in storage for a short while, such as the few months of winter if you’re into seasonal storage. It is not a good idea for long-term storage, because vacuum sealing will compress the garments’ fibres, and keep the fabric from breathing naturally. This can cause damage over the long term. Cardboard boxes. Once again, this is a better idea for short-term storage. If you simply need to store your clothing for a few weeks, choose something like a “Porta Robe”: portable wardrobe boxes that allow your clothing to hang inside, just like a wardrobe. If you do use cardboard boxes, make sure that they aren’t stored on or close to damp areas. And consider wrapping the boxes in plastic to keep pests away. Plastic containers can work to store clothes for short term and long term. They will keep your clothes dry, protecting them against mildew and mould, and keep pests away. Line the containers with clean cotton sheets for the fabric items to rest on. Do not use plastic bags to store your clothing in! It won’t give much protection at all. If you’re storing heirlooms, such as a wedding dress, do your homework properly and choose acid-free boxes and wrapping paper to protect the garment. Don’t store heirlooms and precious delicates in plastic – over time, the chemicals in plastic can cause damage. Making sure all clothing items are pristine, with no food stains or food scraps in pockets. Add peppermint oil to the washing water – the smell is unpleasant to many pests. Place cotton wool soaked in peppermint oil along the walls and around any gaps in your Adelaide Self Storage unit. You’ll have to periodically resoak the cotton wool, because the smell doesn’t last forever. If you do use mothballs or camphor in your clothing containers, don’t put them directly on any fabric, rather in a cloth bag of their own, or on top and around your storage containers. If you’re storing especially valuable heirlooms, or if you’re using your Adelaide Self Storage unit as a storage space for clothing that you make and sell, consider using a climate-controlled unit. This will ensure that the clothing is stored at the perfect humidity and temperature. At Self Storage Australia the units on the lower western side are built into the ground creating a passive climate control environment. This creates a very stable year round temperature control which is ideal for storing items long term. If you have any queries, please call us on 08 8369 3055. Self Storage Australia storage units in Holden Hill also protect clothing against direct sunlight and dust. And, of course, the security at Self Storage Australia in Holden Hill will give you real peace of mind! Contact our team for more information on how we can fulfil your storage needs.